Overwhelmed with tracking leads while maintaining your current customers? 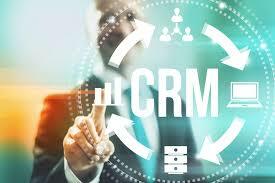 Aurora CRM can empower you! Access it anytime, anywhere, from any device, all you need is a browser. Get more than 30 marketing apps to boost leads acquisition from your website: Search Engine Optimization tool, SEA, form builders, etc. Automatically send emails tailored to the lead segment and their activities. Score your leads based on explicit and implicit criteria. Define different actions based on the lead score. Decide which lead score deserves to be converted into an opportunity. Define your own rules to assign leads to the right sales team or salesperson based on quotas and segments. Organize and schedule a sequence of activities per opportunity. 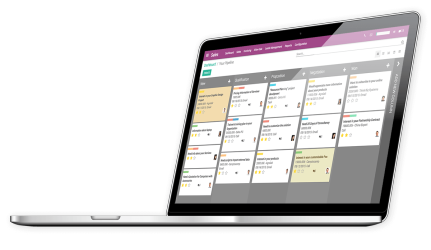 Track, log, and analyze the activities of your team. Work faster with the drag & drop interface. Set up specific stages for each sales team. Possibility to create sub-stages to better organize the processes. Automatic archiving of lost opportunities. Get all information right into the opportunity: pages visited on your website, Emails, meetings, next actions, preceding orders, etc. Schedule meetings with the customers. Sync with mobile phones and your calendar apps. Create templates of emails for most common communications with your customers or opportunities. Follow key opportunities in just a click and get alerts based on relevant activities. Get all your email communications automatically attached to the right opportunity. Create new leads automatically based on incoming emails. Analyse your opportunities pipeline with advanced filters, grouping, drill down, etc. Get statistics about your sources of leads to evaluate the ROI of your marketing campaigns. 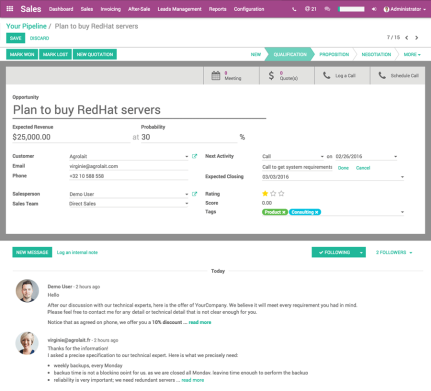 Boost leads acquisition and nurturing with Odoo’s marketing apps: Email Marketing, Events, URL trackers, landing pages, etc. Integrate all your sales channel: online sales (e-Commerce), inside sales (CRM) and in store (Point of Sale). 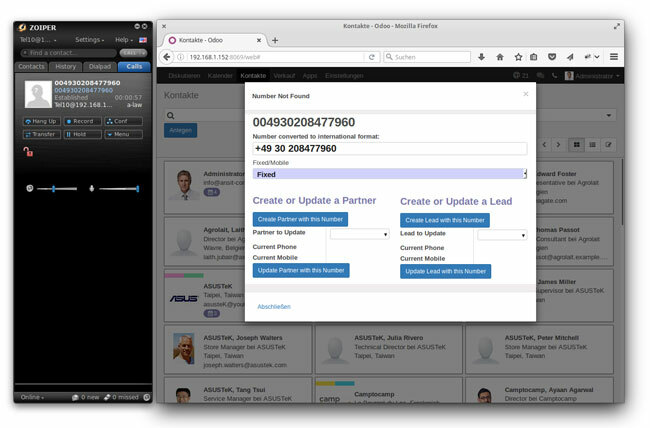 Make Odoo CRM do pretty much anything with the API: connect other software, automate lead creation, etc. 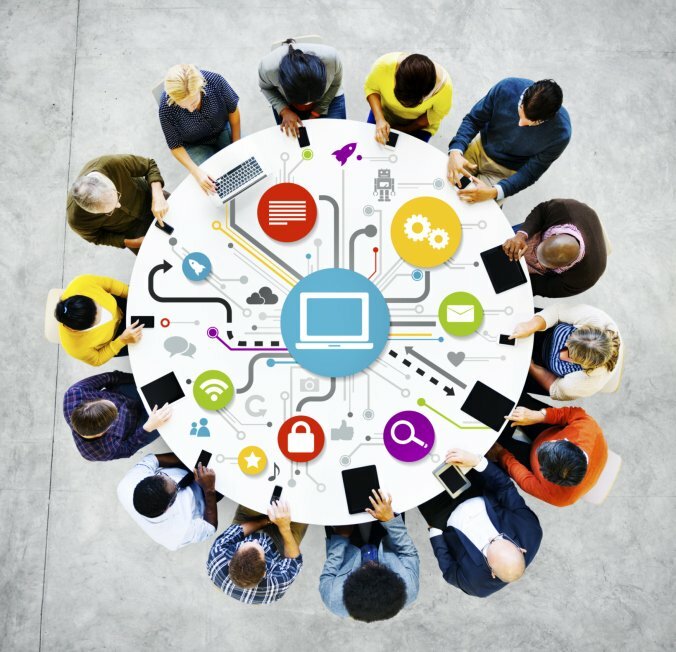 Ready for the power of CRM?